Sangria is one of my favorite cocktails because it’s not limited to any particular season and can be enjoyed year-round. Red wine sangria with stone fruit or apples is great for fall and winter while white wine sangria with citrus or berries is great for spring and summer. 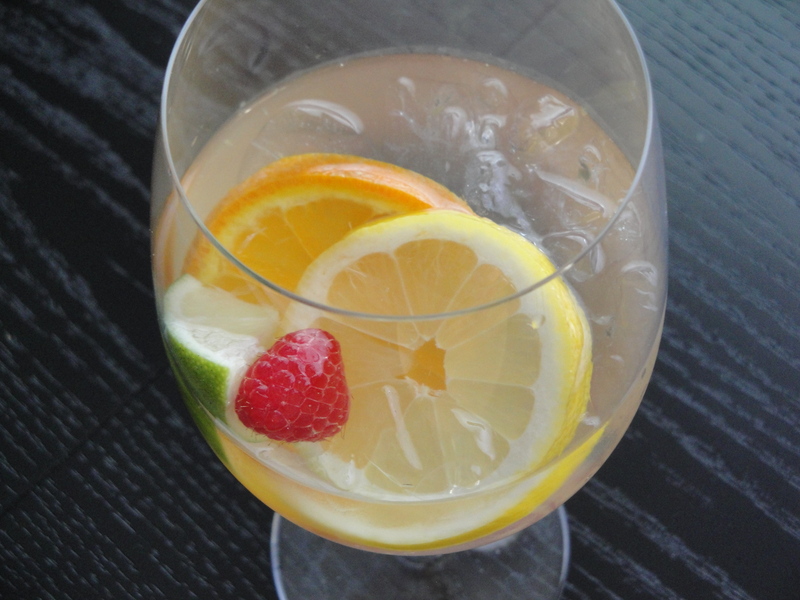 This Sangria Bonita is a light, fresh white wine sangria that, instead of being weighed down by fruit juice, is lightened up with a little bit of orange liqueur and sparkling water. 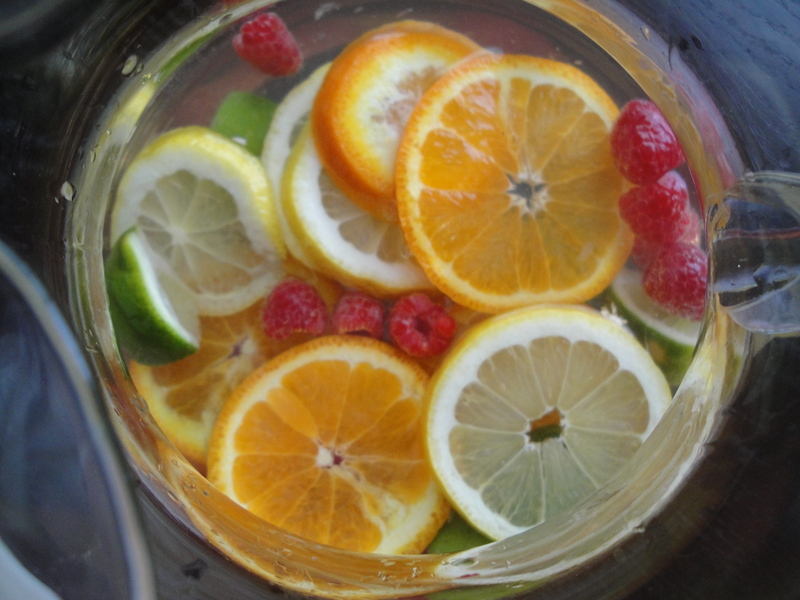 A pretty tossing in of colorful limes, lemons, oranges, and raspberries make this a picture perfect cocktail. 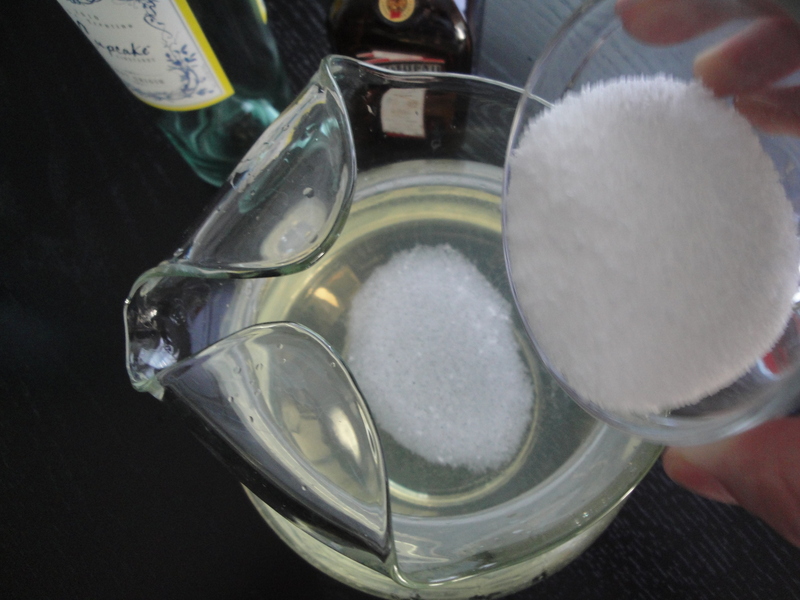 I used Pinot Grigio but if you prefer a drier wine, consider Chardonnay or Sauvignon Blanc. Also, use any of your favorite spring or summer fruits here. 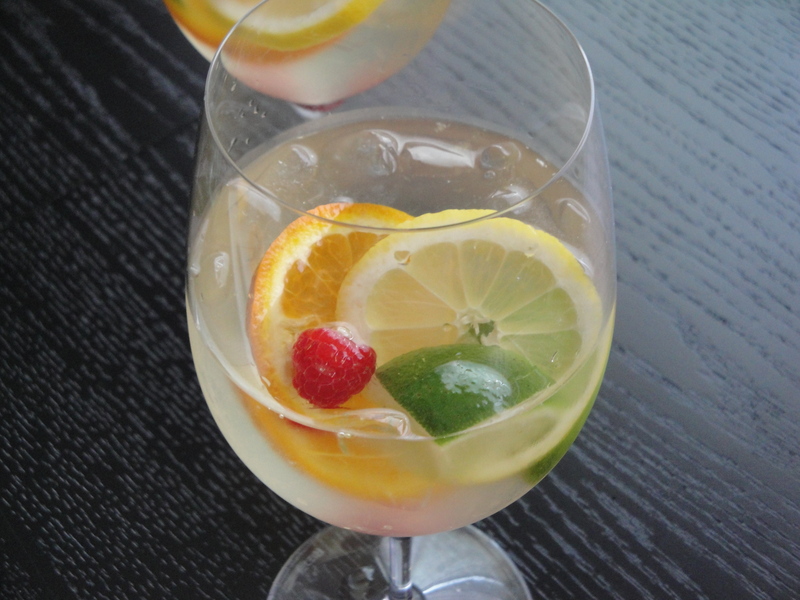 That’s the great thing about Sangria – you can throw in any wine, juice or fruit you want. Bonita, indeed! 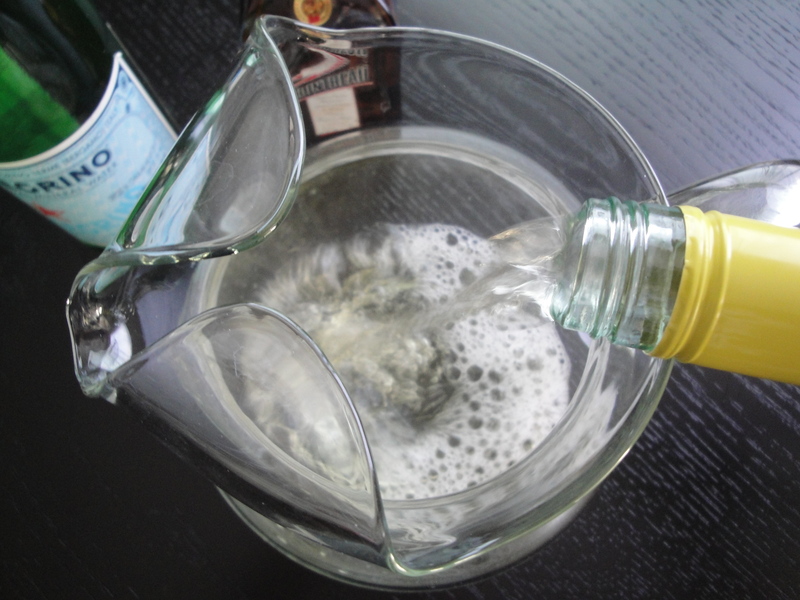 Pour 1 bottle dry white wine into a pitcher and add in ½ cup orange liqueur, and 3 tablespoons sugar, stirring until sugar dissolves. 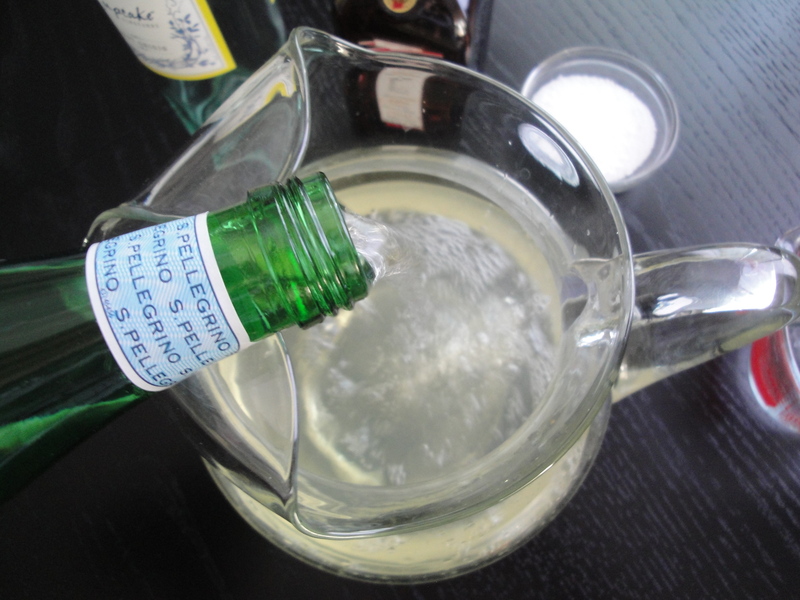 Add in half a bottle of sparkling water. Add slices of your favorite fruit. 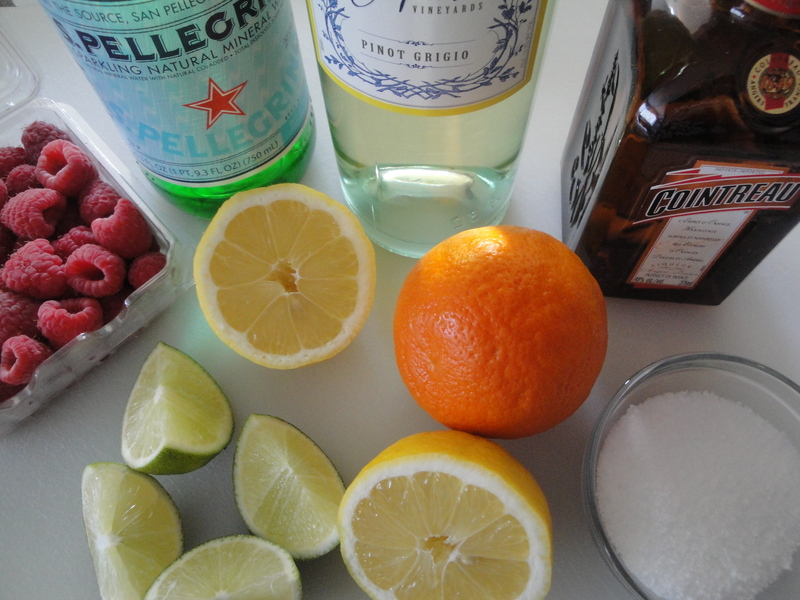 I used a mineola orange, lime, lemon, and a handful of fresh raspberries. Chill up to 1 hour before serving and garnish each serving with fresh mint if you like.